New York, probably, or some other big city. and the chimney beside them casts a long shadow. one redhead in a green skirt, one brunette, one blonde. the left hand on her hip for balance. what they did, who they saw dancing, girl talk. this year forever marked by a ship called the Titanic. from the gallery, taking it all in. Sunday, Women Drying Their Hair is © Maeve O’Sullivan. consumes the memory, the sensorium. as, book by book, his library burns down. with loss of all those memories,sensoriums. then, book by book, his library burned down. of her clouding memory, her sensorium. consuming, then, my memory, my sensorium. Maeve O’Sullivan works as a media lecturer in the further education sector in Dublin. Her poems and haiku have been widely published and anthologised since the mid-1990s, and she is a former poetry winner at Listowel Writer’s Week. Initial Response, her debut collection of haiku poetry, also from Alba Publishing, was launched in 2011, and was well-received by readers and critics alike. 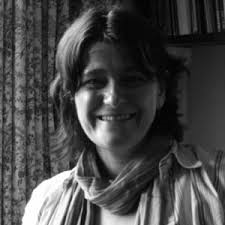 Maeve is a founder member of Haiku Ireland (www.haiku-ireland.com) and the Hibernian Poetry Workshop. She also performs at festivals and literary events with the spoken word group The Poetry Divas. Her poem Leaving Vigo was recently nominated for a Forward Prize for a Single Poem by the Limerick-based journal Revival (http://poetry-24.blogspot.ie/2013/08/leaving-vigo.html).